i wasn't expecting it to come as 2 pieces. 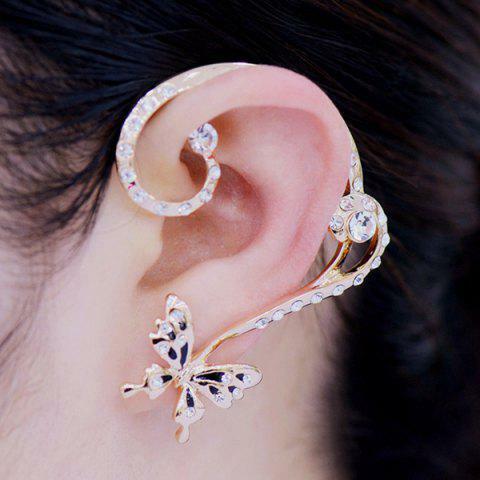 There's the one ear ring in the picture and the other one is a singular butterfly. Definitely an eye catcher with people and there's tons of following compliments of how cute and unique they are. Good quality, substantial earring but lightweight. Very pretty. It is only for pierced ears.